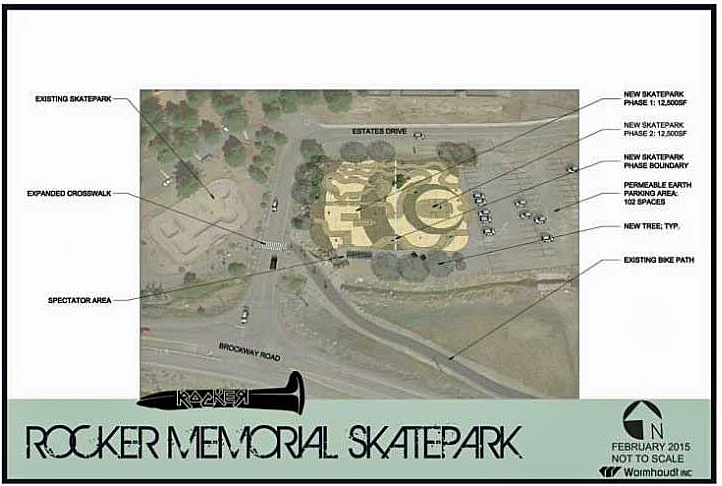 A new skatepark has been approved by the Truckee-Donner Recreation and Parks District Board. The Rocker Memorial Skatepark Project will be built adjacent to the existing skatepark at Truckee River Regional Park. The Town of Truckee will provide the land for the skatepark and parking. The 25,000 square-foot skatepark will be built in two phases. The next step for the Rocker Memorial Skatepark Committee is to actively begin fundraising. A reported $20,000 dollars has already been raised. The estimated cost for the skatepark is $500,000 dollars. All monies will come from donations. The committee is working with a fundraising organization called CharitySmith for help with donations. The skatepark is being named in honor of Steve “Rocker” Anderson, who passed away in an avalanche on Donner Summit December 24, 2012. Anderson rode skateboards and was part of the Truckee Community. You can also "like" the Rocker Memorial Skatepark on Facebook.